This policy promotes good practice to ensure users are aware of the processes required to dispose of all unwanted University IT equipment in a safe and secure manner. It is important that no personal or sensitive data remains on the equipment, including University software. IS&T staff will ensure the deletion of any data using the appropriate disposal techniques. 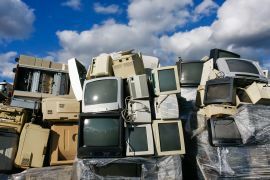 Any contractors used in the sale or disposal of IT equipment are obliged to adhere to the relevant standards, and to provide proof of data destruction. All University IT equipment must have all data wiped before reallocation. The Disposal of IT Equipment Policy can be found here.